Pentair lube-free valves have excellent flow characteristics and are manufactured to strict quality standards. And, as the name says, they never require lubrication. Constructed of durable CPVC, they provide a lifetime of superior performance at a great price. 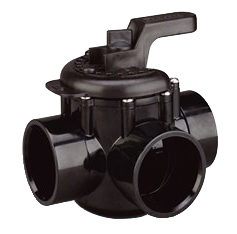 Pentair valves are easily installed and simple to use. When paired with Pentair valve actuators, they're the perfect solution for fully automated operation.